Want to see your money grow to put in many efforts or want to make your money work for you? Yes, opening an FD account not only works as a great tool to help you save, but even gives you back a higher rate of interest without risks when compared to mutual funds. Other than just receiving a higher rate of interest, an FD investment also has many more benefits that you may not know. A saving account only gives an interest benefit of around 4-5%. But, an FD account gives you an FD interest rate as higher as 8.10% over a tenor with a minimum investment of Rs.25,000. How much profit you get also depends on your membership status with a service provider. A senior citizen gets a larger share of ROI on FD when compared to standard subscribers. A fixed deposit interest rate is fixed when you open an FD account and does not fluctuate as per the performance of the market unlike, a mutual fund investment. It means that you are bound to receive an interest rate which was promised to you at the time of opening the account. Your fixed deposits are also safe, and your money won’t vanish from your account. Your FDs are insured, and you will get an insurance cover amounting to Rs.1 lakh in the event of uncertainty if any. 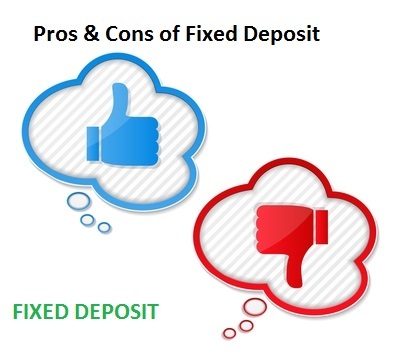 A fixed deposit demands an account holder to keep aside some money for a fixed tenor and helps the investor to save money. Also, with an FD, you can also kick off initiate small and intensify the investment income when your income grows. An FD investment means availing a fixed and a clear amount of profits or ROI compared to other investment schemes. Service providers also have FD calculator which you can use free of cost to determine your exact FD profits. Once you know an exact amount, you can be confident of an amount that you will receive as investments. An FD investor should also note that there are no limits on the number of FDs that you can open as per your affordability. Example – if you have 10 financial goals to cover, you are free to indulge in 10 FD investments. It is one of the major benefits of opening your FD account. Yes, when you are in need of urgent cash flow, you can go ahead and use your FD amount as collateral to get a loan. Yes, when you need some money, it’s better to get a loan than prematurely withdraw your FD and incur a loss as you won’t get interest benefits. What to do with Maturing Fixed Deposits? Have an existing FD account which is going to mature soon? If you leave an FD investment that’s going to mature soon, it will automatically renew. If you don’t want it, you can withdraw your FD and earn interest – for what you invested in the scheme. So, these were some of the advantages or immediate benefits which you can avail if you initiate an FD investment with reputed online lenders. FDs are a great way to save your money and also earn a substantial ROI on them over a tenor. If you are willing to save money and earn some profits, going for FDs are the way to go!